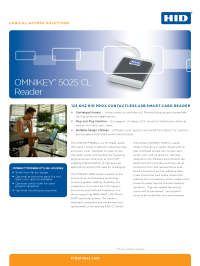 Designed for ease-of-use, the OMNIKEY® 5025CL reader works with existing low frequency physical access control cards such as HID Prox®, enabling smooth implementation of logical access applications using ID cards. The 5025CL reader ensures greater stability, durability and compliance and can be used as a replacement to the existing OMNIKEY 5325 CL family*. The solution provides full CCID support and allows the usage in PC, as well as thin- and zero-client environments. The reader’s pocket size and modern, stylish color options allow for seamless integration into different corporate environments, including offices and production floor areas. 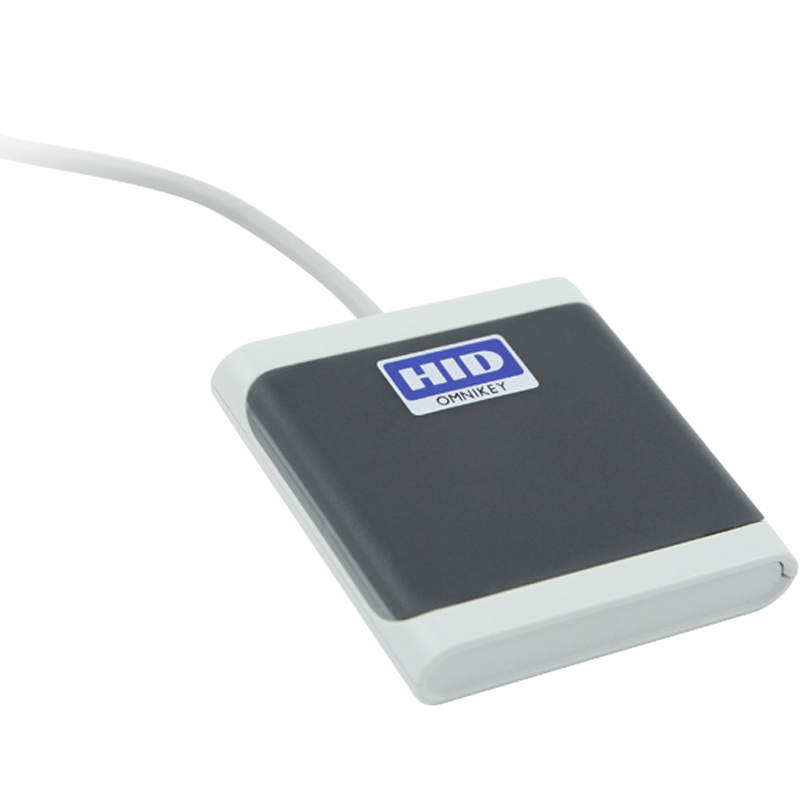 Reads unique number from HID Prox® cards. Smart accessories - adhesive plate, screw mount and card holder. Tap-and-go use as well as permanent “card present” mode. Supports WINDOWS®, LINUX ® and MAC® operating systems.